Call us what you like, but whatever you call us, please know that we do names, and we do them very well. We’ve renamed and rebranded major corporations in the technology, defense, consumer and enterprise sectors, as well as challenger brands, start-ups and new divisions and product lines. We seek to understand our client’s place in their markets as well as where they aspire to be in two to five years. Our proven process includes a thorough analysis of the competitive landscape and how a new name can help a brand stand out in its market. It also assesses where the market is heading, and how the right name can position a brand for success. Bluetext presented a selection of new names that put the company at the core of its clients’ business challenges and created a new visual identity that reflected that positioning. 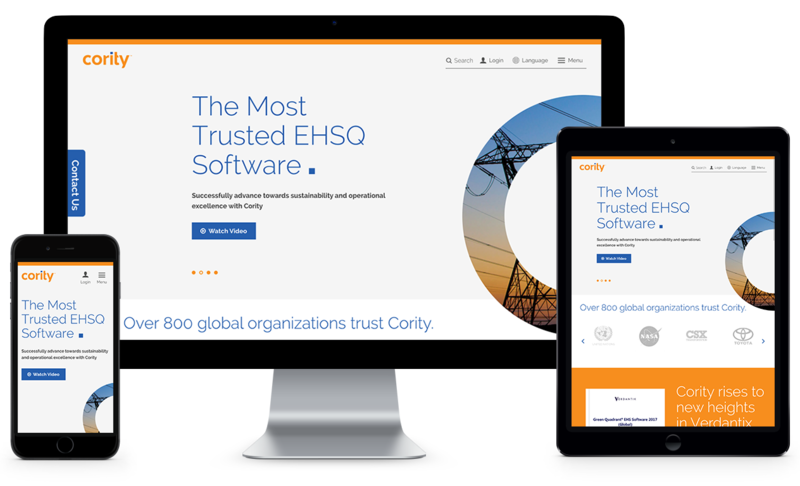 We also designed and built a new website that highlights Cority’s new range of services and makes it a player in the entire suite of enterprise workplace solutions. Bluetext completely rebranded ITSolutions to Acentia, including name, logo, tagline, visual identity system, messaging platform, brand positioning, website, collateral system, public relations and social media. The company used the rebrand to immediately be acquisitive, acquiring 2020 Solutions shortly after launch. 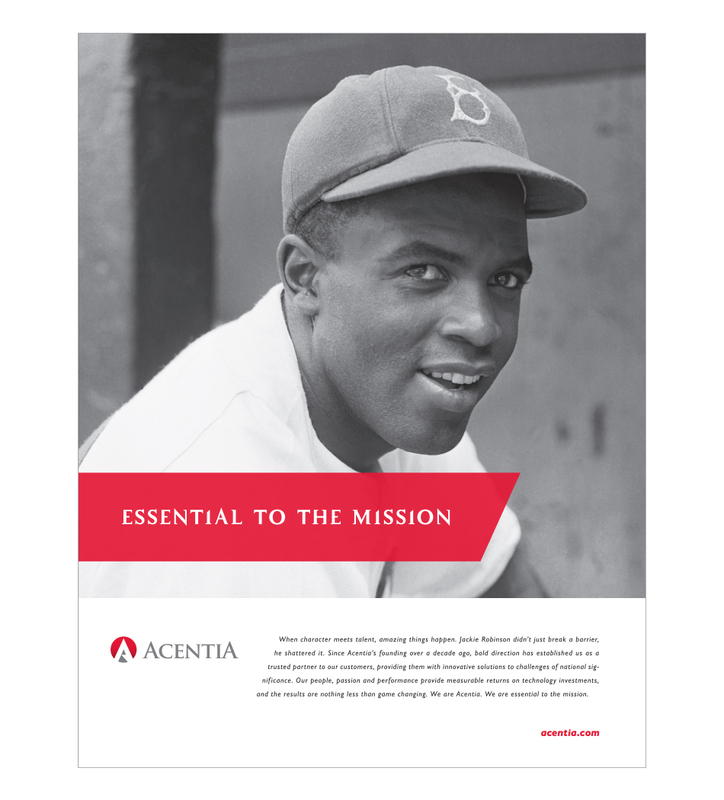 The rebranding effort culminated in Acentia’s acquisition by Maximus. When Federated Wireless, a Google-backed start-up with technology to deliver new spectrum to the enterprise markets, needed a new name to launch its solutions, it choose Bluetext to develop a powerful new brand that would resonate with customers. The results: Cinq, a different spelling of a word that perfectly describes what the new brand would deliver. Bluetext developed the name, brand and user interface with this new approach to customer engagement in the dining, beverage and hotel space. The native mobile platform helps hospitality venues attract new customers and form deeper connections with existing customers by offering an enhanced engagement through expanded onsite entertainment. When one of the nation’s leading consulting firms wanted to launch a new platform for employees, it selected Bluetext to brand the new offering. The application was for a next-generation virtual meeting and training environment designed for a mobile workforce. The result – ShopTalk, which delivers real-time streaming of both live and pre-recorded sessions, as well as on-demand access to archived content. ShopTalk conveys the real-time needs of knowledge sharing and collaboration that can happen anytime, anywhere. When entrepreneur Satish Sanan needed a branding firm to bring his new cancer diagnostics venture to market, he turned to Bluetext. Working with his extended management team, Bluetext created the name, messaging, brand, logo, visual identity, responsive website, family of videos, and process infographic to most effectively share with their target audience the impact of their solution. Three separate international trade groups representing hundreds of accounting firms that compete in the challenging global market, were merging to form one of the top associations. The challenge was to create a brand that would communicate the value that the association brings to its member firms in dozens of countries and languages. After a thorough search, the leaders of the three groups selected Bluetext to deliver on a new brand, including a name, logo, color palette and assets and style guide. 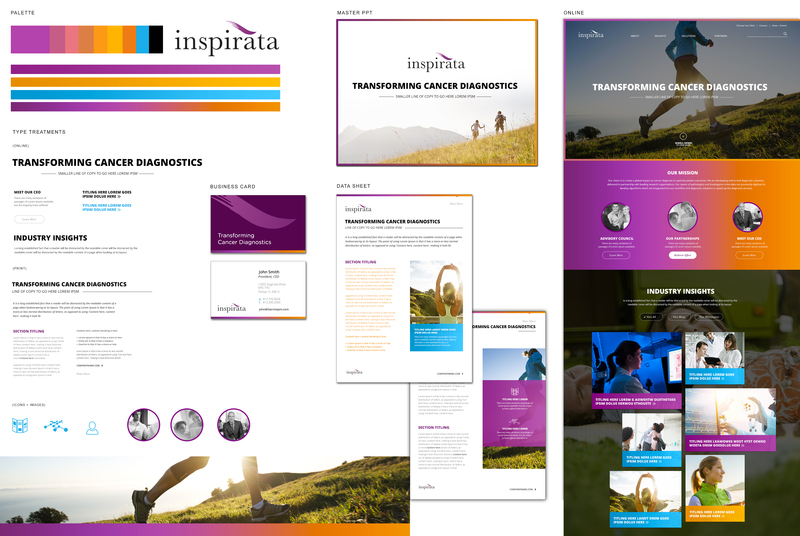 When Life Global needed a new name and brand for a new venture, the genetics company turned to Bluetext to develop a comprehensive branding system and digital platform. Evolve’s branding and campaign work enabled it to achieve its goal of getting acquired. Companies of all shapes and sizes choose Bluetext to define, design, and build their naming and branding solutions. Let us help you do the same.